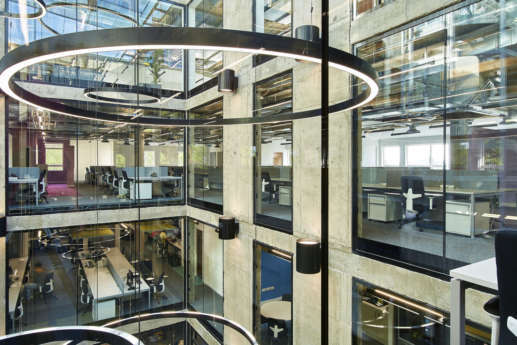 As part of the University of Bristol’s strategic consolidation programme, and in order to promote agile working, we've delivered two new spaces for University of Bristol staff, spanning 45,000 sq ft. 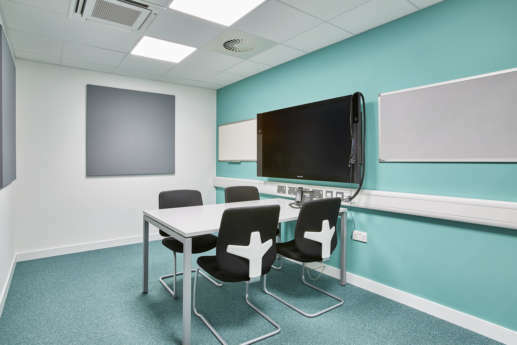 The University was looking to increase collaboration through bringing staff together under one roof. 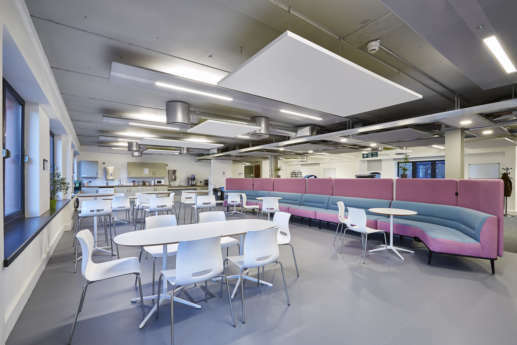 This allows them to have more spontaneous interaction across divisions and make better use of space through shared meeting, kitchen and common facilities. 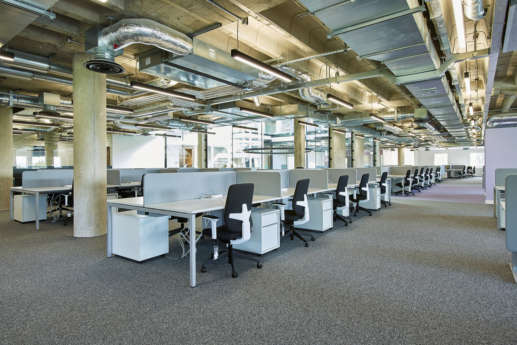 Overbury undertook the 35,000 sq ft Cat B fit out across levels 1 – 3, whilst the building remained occupied. 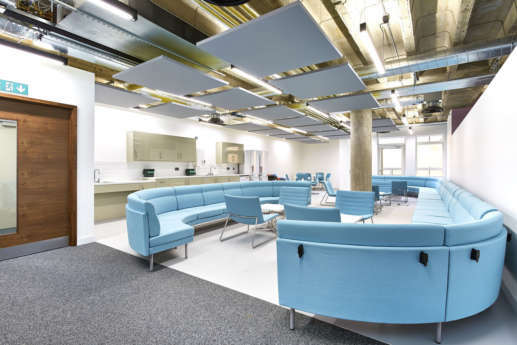 The University wanted to move towards a more open plan and collaborative working environment. 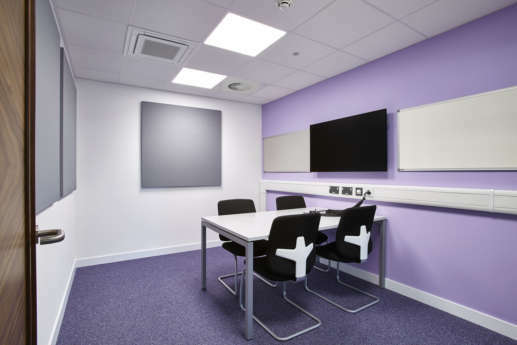 Colour co-ordinated meeting rooms, featuring matching carpets, furniture and paint were used to give different areas a sense of identity. 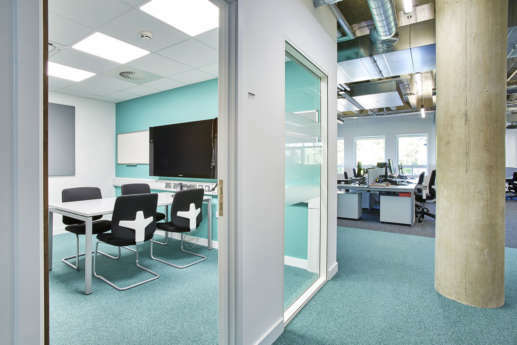 The rest of the office also had new partitioning installed for meeting and conference facilities, along with wall and ceiling finishings. 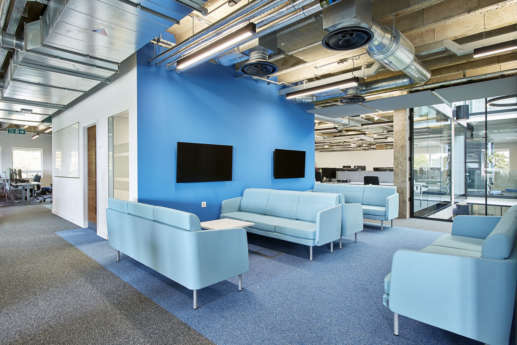 The colour coordination was extended to breakout meeting spaces, where the different carpet, matching furniture and ceiling rafts helps lower the ceiling to absorb acoustics, while also defining different areas within the open plan fit out. To facilitate staff taking an active commute, a new cycle cage and plant area were installed into the shared basement carpark, and enhancements were made to the landlord’s mechanical, electrical and public health systems. The project also included external road works in both Great George Street and Brandon Hill Park to form a new underground fibre cable duct route. This involved close interaction with local residents and businesses, as newsletters were issued to keep all parties affected by the works up-to-date. 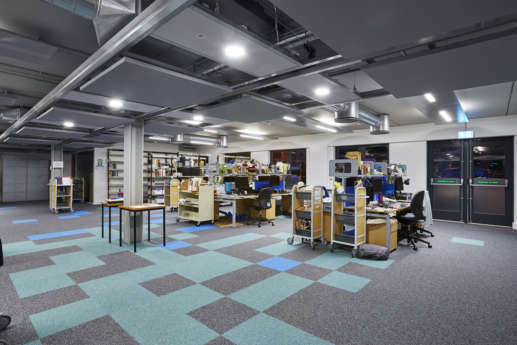 This was Overbury’s first project with the University of Bristol and was finished on time and within budget, paving the way for future works with the University. 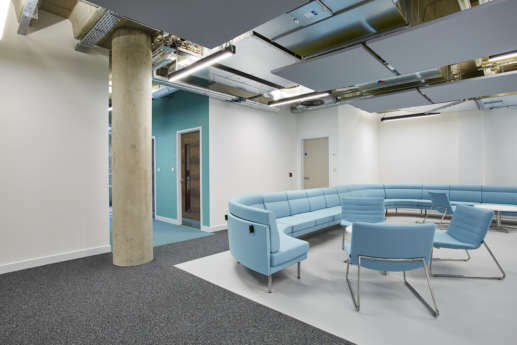 The university wanted to relocate professional services staff from elwhere in the university's estate through refurbishing 10,000 sq ft in an existing building. 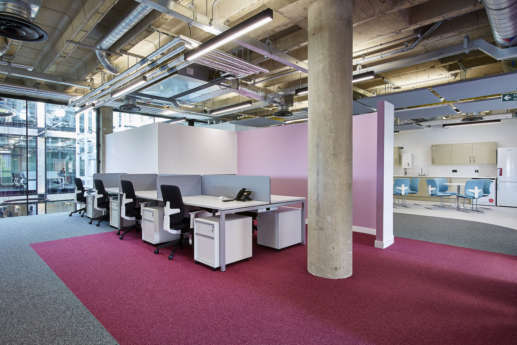 This refurbishment project involved providing a Cat B fit out across five floors of office space. 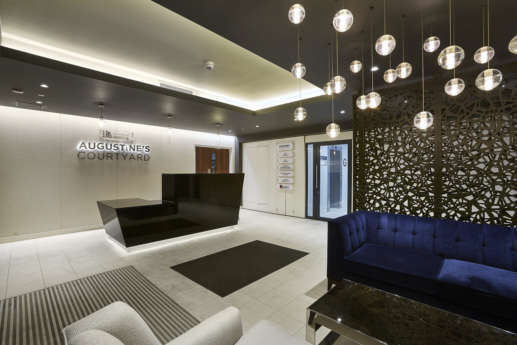 The fit out of St Augustine's Courtyard was delivered as a staged two-phase approach in two 10 week programmes, allowing for staff to move in a staged approach that didn't impact commitments during busy academic periods. 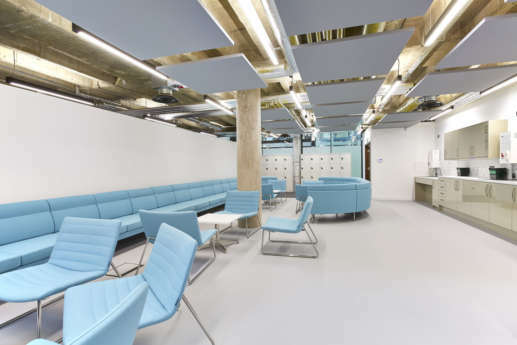 The project provided new M&E and communications infrastructure, as well as numerous tea points and kitchen facilities. 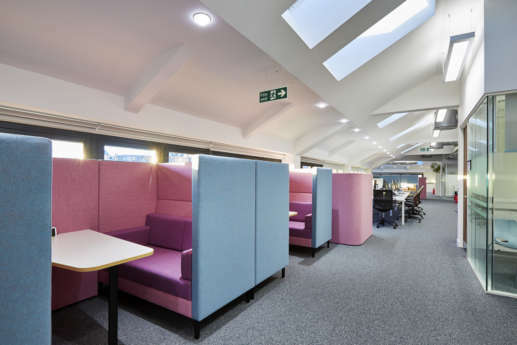 This is part of a wider initiative at the university to co-locate colleagues and promote agile working in a modern office environment. 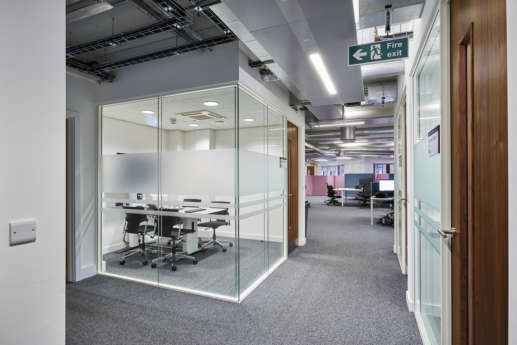 The project involved a complete Cat B fit out with new specially designed meeting spaces, offices and flexible work stations. 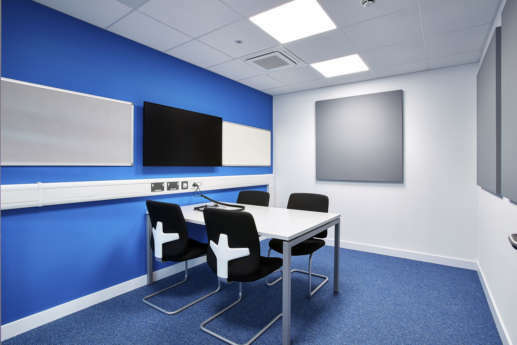 The University now houses a mix of traditional workstations and agile meeting booths where colleagues can either go to concentrate on a particular task or use for a quiet catch up. To help facilitate the University's cylce scheme, a cycle storage space was provided in the basement car park to provide a secure space for staff to leave their bike.